A sunny morning sent Evelina out of doors and into her garden, which must have been muddy after all the recent rain. With the help of son Frank Morton, she put in some rhubarb. Nearby, Jane McHanna hung the Monday wash and managed to get it dry before more wet weather arrived in the afternoon. 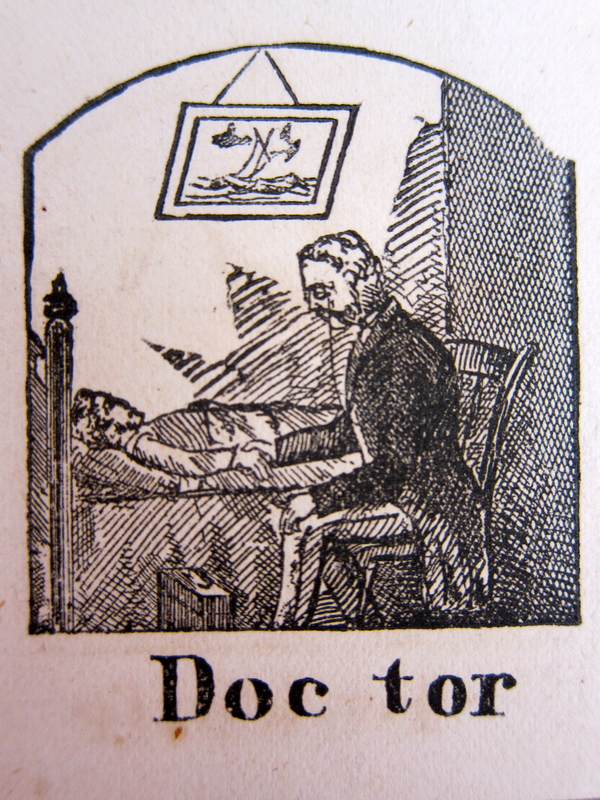 Frank had been unwell, as had Sarah Lothrop Ames next door and each had a call from a doctor. In those days, doctors would typically call on patients in their homes. Physicians kept offices, of course (usually in their own homes,) but generally treated people by traveling to them rather than the other way around. This practice was commonplace well into the 20th century. Dr. Caleb Swan was Evelina’s physician of choice. Besides being generally considered quite competent, Swan was “suave, genial and agreeable.”* His bedside manner must have been calm and attentive. He had studied at Harvard and then apprenticed under a practicing physician, apprenticeships being standard training regimen at that time. A popular man in town, he was involved occasionally with local and state politics. “Intensely opposed to the Know Nothing” party, he was a “pronounced anti-slavery man.”* He had a large family, and four of his sons became physicians like him. Elsewhere in the world of shovels, Old Oliver oversaw work on a shop they kept in Bridgewater, where men were “sleighting the roof.” Slate was the preferred roof material for owners who were concerned with the possibility of fire. Even if she isn’t a blood relative, isn’t it nice that you carry on the name Sarah?